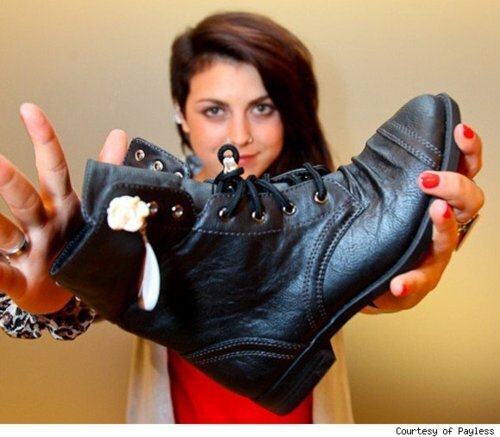 Sierra Kusterbeck of VersaEmerge, has always been known for her trendy, edgy style. Now she is opening up a line called Brash at Payless that includes: heels, flats, boots and even purses, jewelry & beauty products. The full line of Brash is to release on August 8th of this year. Although, if you head over to Payless.com you can buy some of the line now! Kusterbeck says that she is excited to be the Brash girl because it lets her inspire people on stage and now even off stage. "I love what Payless is doing in general to democratize fashion and this is the first cool, edgy line that’s affordable, which is great for teens. For them, affordable is the best word ever!" To read more about the line, click here!